Yeshiva University’s Center for the Jewish Future (CJF) and affiliate Rabbi Isaac Elchanan Theological Seminary (RIETS) have launched “Confronting End of Life Issues,” a continuing rabbinic education course that aims to provide rabbis with a fuller understanding of the issues surrounding end of life care and the rabbi’s role during this critical period. The nine-part online course will explore medical and halachic perspectives on commonly performed end of life procedures, the treatment of cancer and hospice patients, living wills and medical proxies, and pastoral care of the family involved in the medical crisis. The course, which boasts 79 participants representing approximately 15,000 families from around the world, including rabbis in North America, Australia, New Zealand, South Africa, Germany, Israel and the United Kingdom, begins June 19 with an introduction to the rabbi’s multifaceted role in end of life crises. “When end of life issues arise, families are forced to grapple with some extremely difficult realities. This online course provides a platform for rabbis to discuss and learn about these circumstances in real-time from the top experts in the field so they can provide the spiritual guidance and emotional support their congregants need to make the correct decisions for their families,” said Rabbi Naphtali Lavenda, director of online rabbinic programming at the CJF. During the two-month training period, participants will receive a thorough selection of reference materials and related articles. In between classes, participants will be encouraged to interact with one another via the course’s dedicated online forum and schedule offline conversations with the instructors, who are all leading medical, mental health, legal and halachic experts in the field. 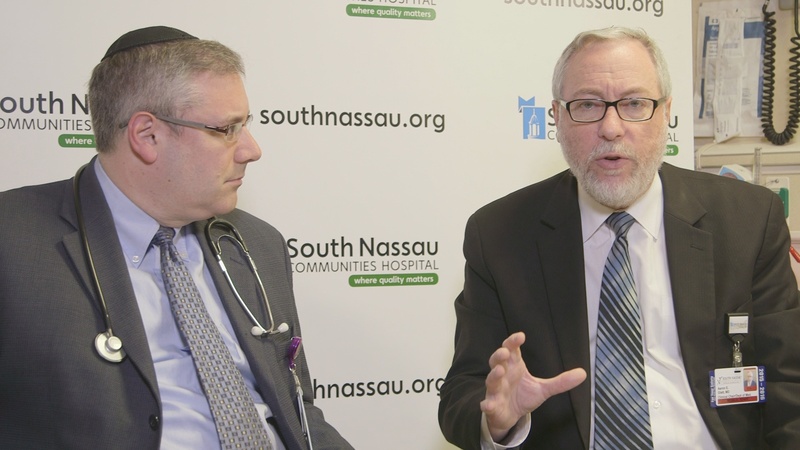 Course highlights include an exploration of the equipment and terminology used in the hospital with Rabbi Dr. Aaron Glatt, chairman of medicine at South Nassau Communities Hospital; an in-depth review of end of life issues for children suffering from terminal illness with Rabbi Dr. Elimelech Goldberg, founder and national director of Kids Kicking Cancer, and Dr. Michael Harris, chief of pediatric hematology-oncology at the Jospeh M. Sanzari Children’s Hospital; and panel discussions between RIETS Roshei Yeshiva and experienced end of life doctors on issues such as withholding treatment and DNR orders, palliative care, and other end of life aspects unique to cancer and terminal illness patients. “Confronting End of Life Issues” was cultivated by Rabbi Lavenda and Rabbi Dr. David Shabtai, Sephardic rabbi at Boca Raton Synagogue and the author of Defining the Moment: Understanding Brain Death in Halacha, with the guidance of Rabbi Dr. Edward Reichman, professor of clinical emergency medicine at YU-affiliated Albert Einstein College of Medicine. The course is the sixth virtual continuing rabbinic education course organized and run by the CJF in coordination with RIETS. In previous years, CJF ran online courses on the issues surrounding infertility, rabbinic marriage counseling on a range of pastoral issues, child abuse, the fundamentals of fundraising and cultivating lasting relationships with congregants, and chosson [groom] teacher training.